Free Events and happenings ! Arr We There Yet ? Morgan and West: More Magic for Kids! Beards ! Beards ! Beards ! 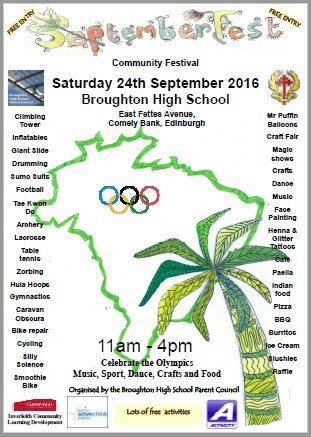 Broughton High School are once again hosting their fabulous Septemberfest – featuring lots of fun indoor and outdoor activities and food. Infact the poster shows heaps of great sounding, family friendly things like a bouncy castle, hula hooping, football, smoothie bike, face painting, magic shows and much more ! From 11am – 4pm, there’s plenty of time to get along and check it out !! So, this Saturday 24th, we have Septemberfest again, the annual event at Broughton High School, from 11am till 4pm. With a Brazilian Olympics theme, there is lots going on ! There promises to be food stalls, Samba bands, a magician, hula hooping, arcade games, balloon creations, Taekwondo and Judo and a craft fair packed with homemade crafts, pocket money toys and baking. And from the poster above it looks like much much more ! Check out the event page on Facebook here for more information and updates ! And it’s free entry too !